Both estates are home to some of the Cape Floral Kingdom’s rarest and most unique plant species. The owners play a key role in driving landowner collaboration to minimise the threats to this unique region known as the Paardeberg. 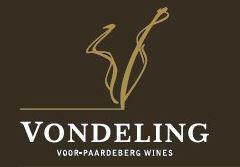 Two of Vondeling’s premium white and red wines have been named for two of these red data listed plants that are endemic to the Paardeberg mountain, namely Babiana noctiflora and Erica hippurus. Visitors can pre-book a generous farm style Vintner’s Platter to enjoy at the tasting room.